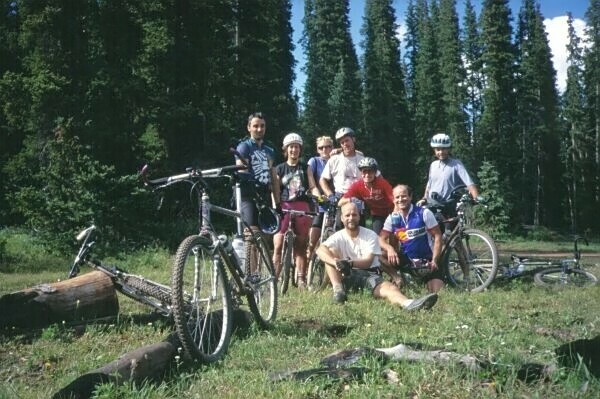 A group picture, along the Flag Creek/Bear Creek loop. The guy in the Colorado champion shirt is Mike from Gunnison. It's not his shirt; it belongs to his girlfriend, Catherine (in the red shirt).